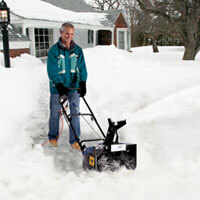 Snow throwers can make a typically labor intensive chore into a fast and easy one. Most people are familiar with shoveling snow from a driveway or sidewalk for hours. These snow throwers are available either as electric or gas models. Snow throwers can be small enough to store in a small closet or larger for moving massive amounts of snow much faster. Backed by an exceptional two year warranty, this line up of snow throwers is suitable for homeowners or contractors alike. 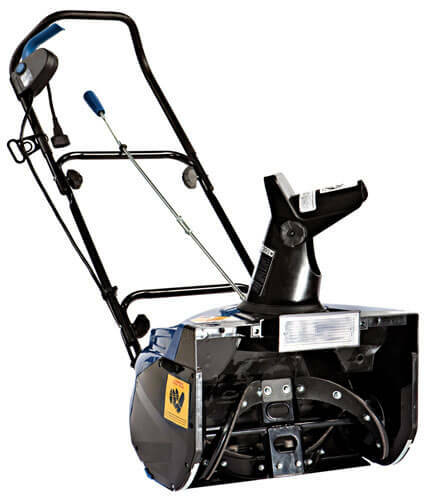 All snow thrower models are ergonomically designed to prevent back and shoulder strain. Electric snow throwers run very quiet without sacrificing efficiency. 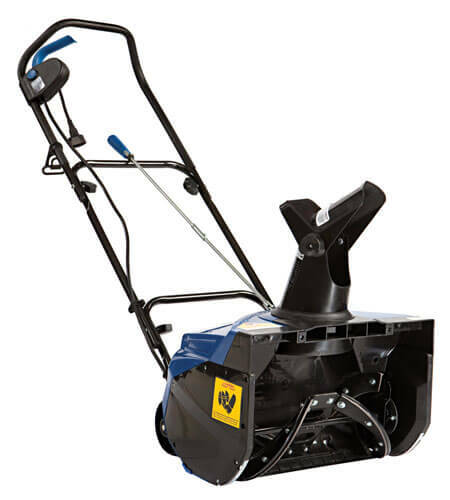 In heavier snow conditions, the gas snow thrower have a wide track to move large areas with fewer sweeps. All models can be used for patios, sidewalks, and driveways while smaller electric units can do steps too. Makes quick cleanups easy. Used for light snowfall on steps, patios, and sidewalks. Unit has an ergonomic design with a back saving handle to reduce fatigue. Easily stored in a storage closet or small shed. Instant Start for Use With a 16 Gauge Outdoor Extension Cord. Makes quick cleanups easy with instant start, easy push button switch, ergonomic grip and scraper clears to the pavement. Need to add extra heat to your warehouse or show room?